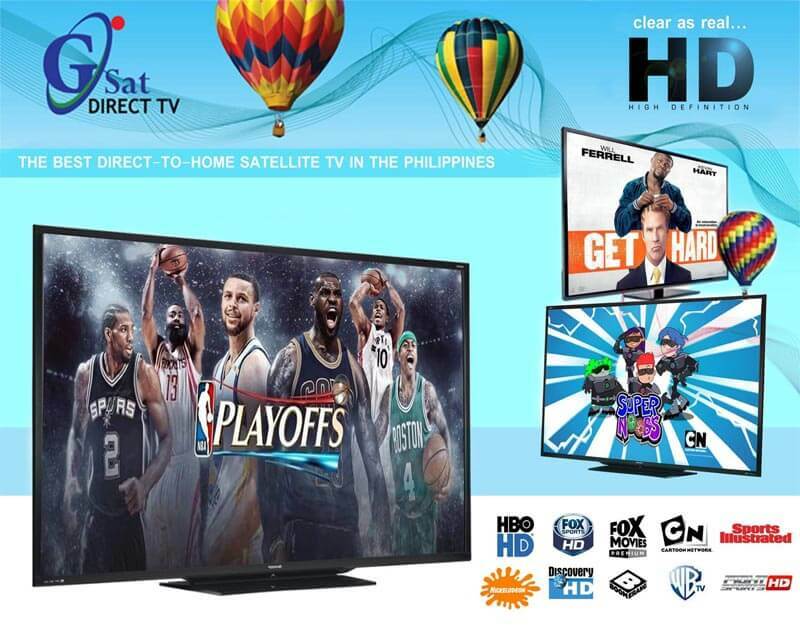 One of the most affordable cable, satellite provider here is the Philippines is GSAT (Global Satellite) Direct TV. They have a huge channel list available in Plan 999 (GPinoy), Plan 200 (Family Package), Plan 300 (Executive Package) and Plan 500 (Platinum Package). If you’re planning to choose GSAT as your cable provider, you can choose a standard definition (SD) and high definition (HD) box depending on your budget. They also offer pay per view and other big events where you need to subscribe or contact your nearest local dealer to avail. You can also load GSAT using Smart, Globe, Sun and Cebuana Lhuillier. GSAT offers direct-to-home satellite cable television that aims to carry communication and entertainment services in an affordable package that would cater to the general public. See also: SkyDirect Channel list. If you are planning to upgrade your TV you can call their hotline or contact resellers for more information and promos.